That philosophy needs to be one that produces outcomes stemming from organization, not outcomes that come by accident. At almost every training age, there must be a customized systematic approach to working with individuals and with teams. However, there is great discrepancy in ability and training age at the high school level so staying structured in how you approach each situation is very important. Do no harm: While we might not be able to control all the on-field injuries, we can make it a point to be diligent with our organization and planning to prevent weightroom injuries and potential on-field injuries. Parents are entrusting you with their children, coaches are entrusting you with their athletes, and most importantly the athletes are entrusting you with their body! To ensure maximum safety, sessions should have proper room layouts and exercise progressions to ensure a safe training environment. Improved Development/Performance: Every coach wants to show growth across all of their students. 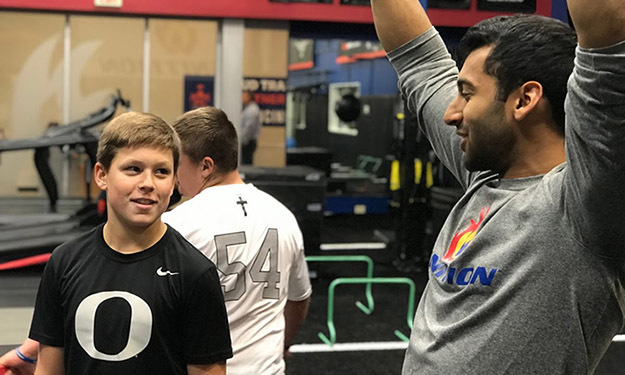 Understanding who you are working with and developing age/ability-appropriate content will help the athletes become faster, stronger, and more powerful. Improved Confidence: Confidence comes from doing. The weightroom can be a scary place for many people who have not been around one. It’s not just the “X’s and O’s” in developing a great strength program. Equally important is developing a positive, encouraging, and inclusive environment for everyone. Having a weightroom culture with positivity, encouragement, and inclusivity will ultimately breed confidence for all and increase an action-oriented outlook. Lifetime of Health: The weightroom has become a staple to societal health and well being. With the increase in technology adding to a sedentary lifestyle and dropping participation in physical education, the weightroom can play a vital health role for participants in both the short and long term. Make your weightroom a safe place for athletes to learn the equipment and develop a level of comfort at a young age that will ultimately deliver lifelong health benefits. Don’t get me wrong, you still need to be a subject matter expert, but to experience the exponential effect of all of these principles you must show people that you genuinely care about their well being. When you can accomplish this feat, I believe that the rest will fall into place.